Okay, you can find free rock guitar tabs all over on the internet, but do you know who wrote them and if they are accurate? 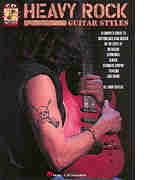 All of our rock guitar books and tablature are written by highly qualified instructors using proven methods and arrangements. Save yourself the time and frustration of trying to figure out a song from a free internet rock guitar tablature. 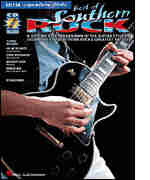 Choose from our great selection of rock guitar books, videos and DVD's, all at great price. Most titles ship the same day. Carl Filipiak's Private Lessons Series on Rock/Fusion Improvising is the perfect vehicle for the rock guitarist who wants to add elements of jazz to their playing. Discover many of the concepts that fusion, jazz, and "jam bands" use. Intervallic harmony, diminished scales and how to use them are just a few topics that are covered. 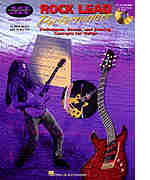 The ultimate guitarist's reference book with playing techniques, solo and improvisation concepts, exercises and jam tracks. 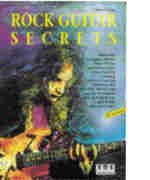 The purpose of this book is to demystify the relatively simple concepts or tricks around which much of rock guitar is built. 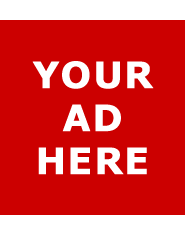 The book is designed modularly, allowing the reader to choose any topic at any time. Learn metal guitar the best way - by playing music! 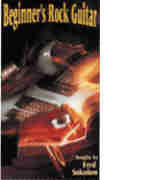 This primer for the beginning lead guitarist builds the solid musical and technical foundation you'll need as it prepares you for Metal Lead Guitar Vol. 1 with several metal 'jams'. A great starter book - no experience necessary! 48-minute audio accompaniment. What you need to know to play blues, including blues riffs, turnarounds, solos, blues scale, transposing, 12-bar blues, and more. 4 1/2? x 12?. A complete guide to rhythm and lead guitar in the style of Led Zeppelin, The Who, Eric Clapton, Pink Floyd, The Rolling Stones, and more. 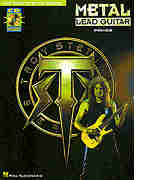 Includes lessons on common riffs, progressions, scales, and techniques. The CD includes 25 tracks with music examples, complete pieces, and special jam progressions. A method exploring the techniques, scales and fundamentals used by the greatest legends of rock guitar. CD includes over 75 full demonstration tracks. 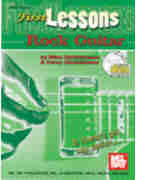 Covers pentatonic and diatonic scales, bending, vibrato, lead licks, and more. Includes standard notation and tab. Enter the realm of darkness and learn guitar like the 'heavies.' This book/CD pack exposes all the essential elements. The CD includes 33 examples and five complete pieces. 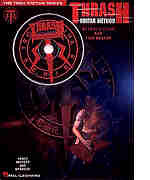 The book covers: power chords, speed exercises, altered tunings, odd time signatures, classic metal, death metal, thrash, and more. Techniques, scales and soloing concepts for guitar complete with a CD with over 70 full-demo tracks; in-depth study of modes; soloing over chord changes and modulations; harmonic minor, diminished and other scales; blues-based music; and much more! 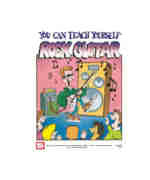 Accomplished rock guitarists can ad lib hot solos and play backup in any key, all over the fretboard. There are moveable patterns that make this easy to do. You need these "fretboard roadmaps" if: all your soloing sounds the same; some keys are harder to play in than others; your fretboard beyond the 5th fret is mysterious. 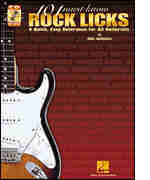 Now you can add authentic rock licks to your vocabulary. 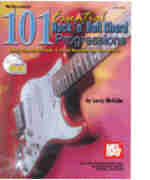 Here are 101 definitive phrases, plus a demonstration CD, from every major rock guitar era, neatly organized into easy-to-use categories. 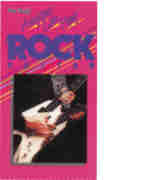 Includes licks from the Early Rock era, and the '60s through the '90s, plus a listing of suggested recordings. Examine the solo concepts of the masters in this unique book/CD pack. You'll learn the signature techniques of Jimi Hendrix, Yngwie Malmsteen, Randy Rhoads, Steve Vai, Edward Van Halen and many others through phrase-by-phrase performance notes. CD features full demonstrations and rhythm-only tracks. 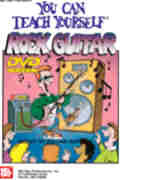 Learn the trademark riffs and solos of rock'n'roll's early guitar pioneers! 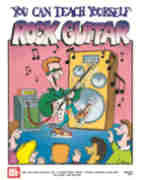 This book/CD pack provides a step-by-step breakdown of the guitar styles and techniques on 17 songs from the mid-'50s to the pre-Beatles '60s. Includes: Blues Suede Shoes - Bo Diddley - Hello Mary Lou - Hound Dog - more. Learn the solos that defined and redefined rock guitar! This book/CD pack written by Dave Rubin provides in-depth analysis of lead work on 18 great songs: Blue on Black - Call Me the Breeze - Hit Me with Your Best Shot - Jump, Jive An' Wail - Let It Be - Living After Midnight - Mystery Train - and More. Let the mosh begin! Learn the techniques and principles used by today's heaviest bands including Metallica, Anthrax, Testament, and others. 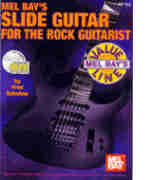 This truly radical method book takes you from slow grinding metal up to the fastest thrashing. Syncopation, shifting accents, thrash theory, progressions and more. No music-reading ability is required to learn with this method. It is designed for guitar players who already understand basic open chord strumming and want to learn rock guitar technique. You will learn barre chords, and lead guitar scales to use along with the rock accompaniment tracks included in this video. Free instructional booklet. Revised and expanded edition. It now ranks as one of the very best introductory rock guitar methods available. The student will learn licks, phrases, solos, bass runs, and power chords in the keys of E, F, G, A, D, B flat, and C! In this extended length video, William Bay teaches the essential elements of contemporary rock and blues guitar. 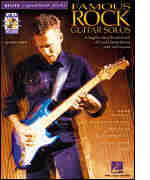 Both rock rhythm and rock solo techniques are shown. Solo, power chords, barre chords, licks, improvising, scales and rhythm chord progressions are shown in the keys of E, G, D, A, C, F, and B flat. This is an updated, revised & expanded edition. It now ranks as one of the very best introductory rock guitar methods available. 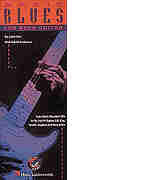 The student will learn licks, phrases, solos, bass runs, and power chords in the keys of E, F, G, A, D, B flat, and C.
A collection of rousing rock/blues solos and popular accompaniment riffs and phrases. Written in notation and tablature. 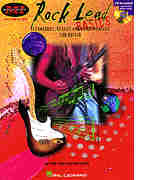 This book contains the scales, licks and techniques the lead guitarist needs to play electric slide in any key. 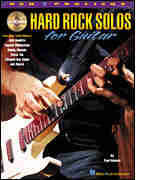 Presents many options including several approaches to soloing in four open tunings as well as standard tuning. Sample songs illustrate how to play in the styles of today's slide masters. In notation and tablature. 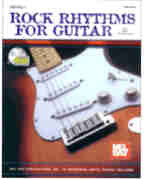 Basics and more for the rhythm guitarist. 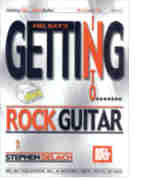 Includes instruction in: strum patterns, bass notes, power chords and scales, barre chords, blues-rock comping, arpeggio accompaniment, doubling the bass line, single-string rhythms, and more. 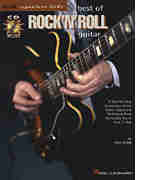 This innovative book teaches the chord progressions and rhythms heard on hundreds of legendary rock recordings. This is a great learning/reference sourcebook for beginners and pros alike. 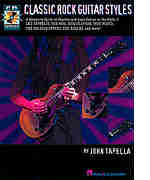 All creative musicians and writers who study, perform, or compose rock music will benefit from this book. 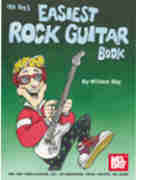 Getting Into Rock Guitar is a simplistic approach to learning the language of rock guitar. 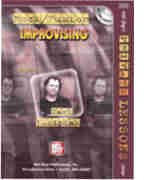 Written from a player's perspective, this book demonstrates how to apply basic concepts and put them into your playing today. 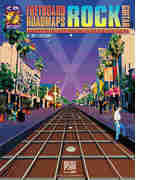 The material covers essential scales, rhythms, and techniques that make up the rock idiom. Finally a method that gets students started on the essentials of guitar while focusing on the material every rock guitarist should know. 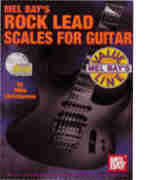 Subjects include power chords, rock scales, rock soloing, reading tab and standard notation, open chords, accompaniment strum patterns, and rock licks.